The hosts are in third place and are comfortable but not fully confident of booking their space in the Top 16. They face the team at the top of the group who have already booked their spot in the next round of the Euroleague. It’s a 3-4 record versus a 6-1 record in a game between two teams who have a lot of history in the Euroleague. It has been far from the best campaign in the Euroleague for Panathinaikos this season but with three games left to go in the group, they are very much in control of their destiny. Facing Barcelona at any time can be a difficult task but things may be slightly easier against the Catalans due to the fact that they have already qualified for the next stage of the Euroleague. James Gist has been in tremendous form for the Greek side this season and he only needs two three point shots to reach a century in the Euroleague. That and the lure of the Top 16 could be enough to tip this tie in the favour of the Athens side. A lot will depend on what version of Barcelona turn up for this game. Even if the away team bring the top players, will their attitude be what is required to defeat an Athens side who will be fired up for victory. It can be difficult to maintain the level of intensity when you have achieved your aims but given that Barcelona are on a winning run since losing their opening game of the season, they’ll be looking to get out of Greece with a win. If Ante Tomic continues the fine form he has been in this season, there is no reason why the Catalan club couldn’t seal a win in Athens. 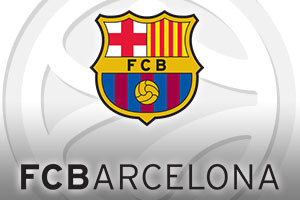 The bookmakers are not sure about this game and you may want to jump in on FC Barcelona Lassa at -1.5 at odds of 1.90. When it comes to the Over/Under market, you should look to go OVER 148.5 at odds of 1.90 in this game. Bet Now!